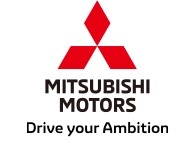 Thailand, Jun, 05 2018 - (JCN Newswire) - Mitsubishi Motors Corporation (MMC) announced today that Mitsubishi Motors (Thailand) Co., Ltd. (MMTh), its exclusive producer and distributor in Thailand, has officially opened a new training facility, the Education Academy, in Pathum Thani. This is another example of the extensive effort the company is making to pursue the very best customer service. The official opening ceremony was held with Don Samitakasettrin, Lamlukka District Chief Officer and other related parties along with Osamu Masuko, CEO of Mitsubishi Motors Corporation. Osamu Masuko said "Mitsubishi Motors has always been focusing on Thailand. The Education Academy reflects our commitment here in Thailand at the same time as the country is shifting towards the economy." The official inauguration of Education Academy was a day after the 5 million-unit production celebration at Mitsubishi Motors Thailand production facility in Laem Chabang. "The Education Academy will play a vital role in providing our people with knowledge and skills enablement to prepare them for the new values we want to deliver to our drivers." Masuko added. The Education Academy project started in September 2017. Today the 2-story building with around 8,700 sqm function area stands tall on more than 17,700 sqm Mitsubishi Motors Thailand premise in Lamlukka, Phathum Thani. Morikazu Chokki, President and CEO, Mitsubishi Motors (Thailand) Co., Ltd. said during the opening ceremony: "Education Academy will contribute significantly in our 'software' development with the focus on sales and aftersales services enhancement." Currently, Education Academy serves 100 - 150 people daily including Service Advisors, Technicians, Part Staff, Sales Consultants, Customer Relations Officers, and Mitsubishi Motors Thailand staff. "What the staff will be taught and be trained here is not just about technical proficiency. They will be valued as a staff with ambition to explore. So that they can empower our drivers to explore new things and progress in life." Chokki concluded.